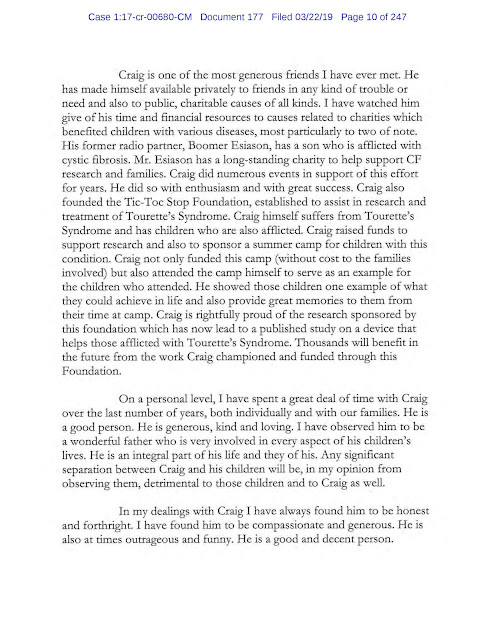 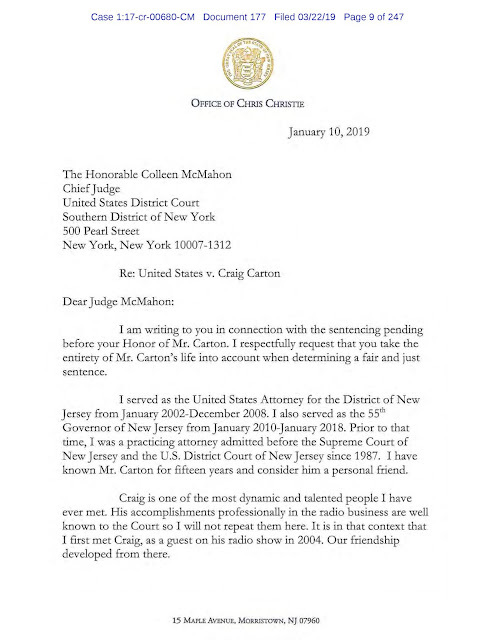 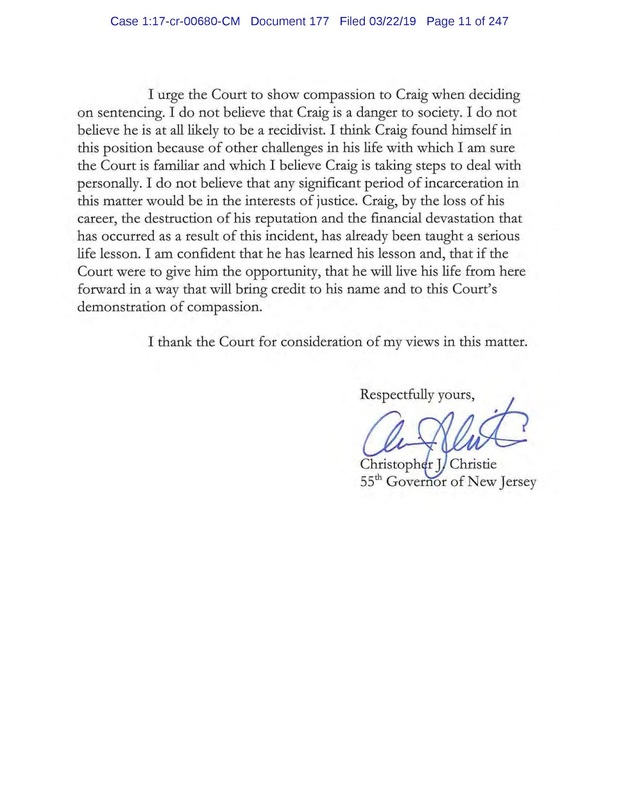 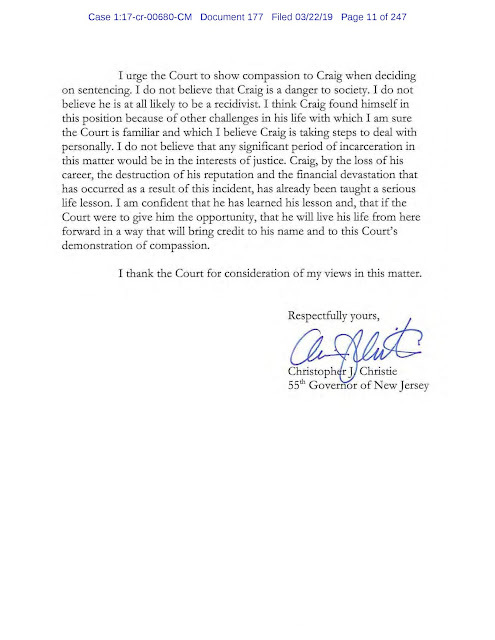 Here's Chris Christie's full weighty letter in support of Craig Carton. 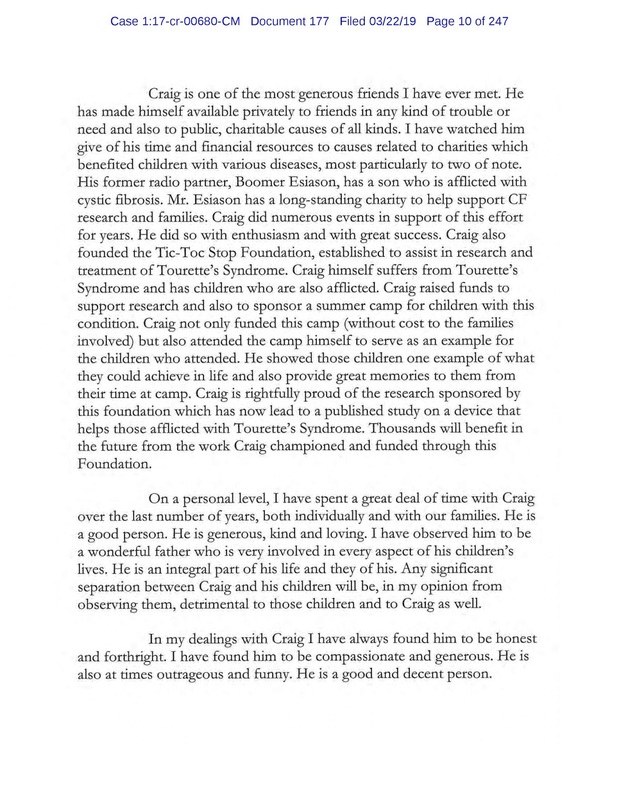 Others providing strong support include Jerry Recco, us, Mikey Strong Nichols and many many of those helped by Tic Toc Stop. And, one day, Boomer Esiason will fully forgive him and we'll learn whether or not he returned those gambling winnings he accepted.